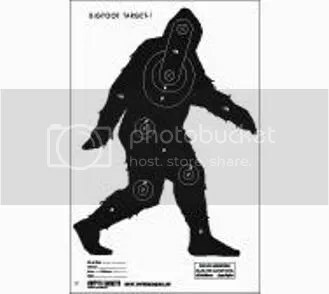 Goin’ on a Sasquatch hunt!!!! Next, understand your prey. Know what they look like, behavior patterns and signs to isolate their presence. Bigfoot, also known as sasquatch, is the name given to an ape– or hominid-like creature that some people believe inhabits forests, mainly in the Pacific Northwest region of North America. 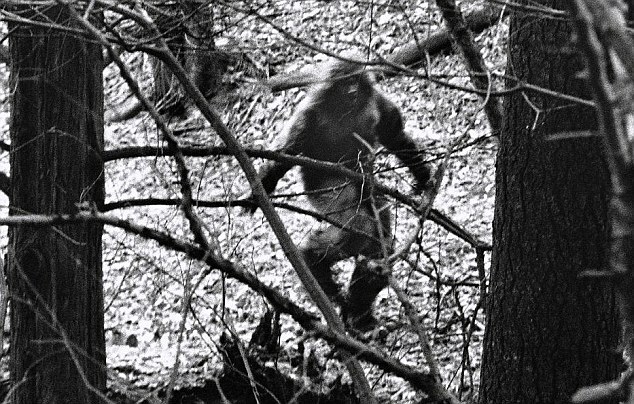 Bigfoot is usually described as a large, hairy, bipedalhumanoid. 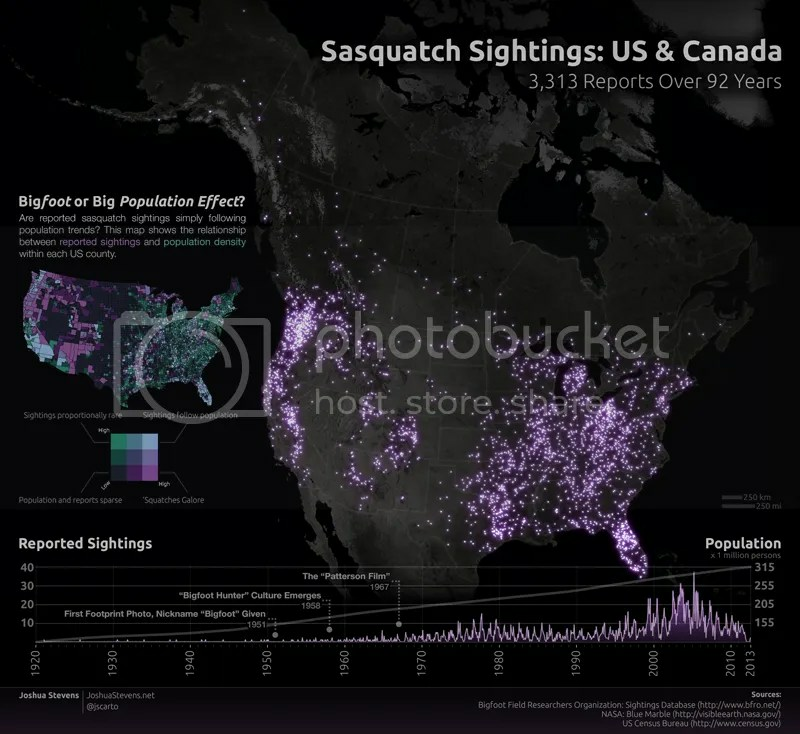 The term sasquatch is an anglicized derivative of the Halkomelem word sásq’ets. Bigfoot is described in reports as a large hairy ape-like creature, in a range of 2–3 m (6.6-9.8 ft) tall, weighing in excess of 500 pounds (230 kg), and covered in dark brown or dark reddish hair. Purported witnesses have described large eyes, a pronounced brow ridge, and a large, low-set forehead; the top of the head has been described as rounded and crested, similar to the sagittal crest of the male gorilla. Bigfoot is commonly reported to have a strong, unpleasant smell by those who claim to have encountered it. The enormous footprints for which it is named have been as large as 24 inches (60 cm) long and 8 inches (20 cm) wide. While most casts have five toes — like all known apes — some casts of alleged Bigfoot tracks have had numbers ranging from two to six. Some have also contained claw marks, making it likely that a portion came from known animals such as bears, which have five toes and claws. 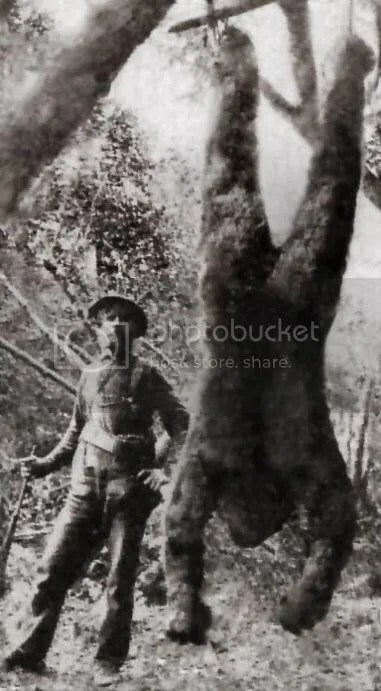 Proponents claim that Bigfoot is omnivorous and mainly nocturnal. If you are one of the lucky (and the only) you may come home with the trophy of a lifetime! !